In 2017 the European Prevention of Alzheimer’s Dementia (EPAD) project launched EPAD Academy that is aiming to efficiently leverage EPAD resources to foster and develop academic research capacity and output in AD across Europe for maximum global impact. One of the main actions of the EPAD Academy is to help create the next generation of AD researchers by creating and facilitating opportunities for junior researchers’ career advancement. The EPAD Academy has established a register for the EPAD Academy Fellows, all of whom are eligible for Academy activities. “The Academy originated from a realisation that EPAD was an ideal framework for young researchers (EPAD Fellows) to grow professionally, expand their views, enhance multidisciplinary perspectives and multiply the impact on their future careers – effectively helping to build the next generation of thought leaders in Alzheimer’s research”, explains Carlos Díaz, Synapse CEO. 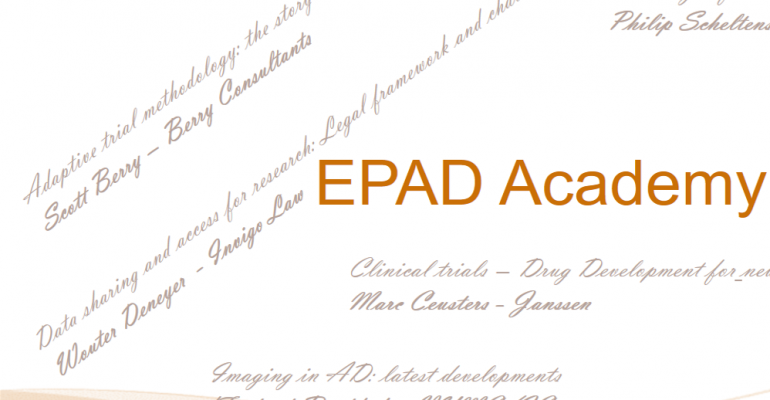 With the beginning of the year, the EPAD Academy launched its first activity – EPAD Academy Webinars, online masterclasses on current topics in AD research, held by world-class senior researchers for EPAD Fellows. Fourteen webinars have been scheduled for 2018, including the introductory talk on the dementia concept after 2020, held by EPAD co-coordinator, Prof Craig Ritchie. Synapse has been strongly involved in the creation of the EPAD Academy, in its foundation and establishment. Synapse is organising and hosting the webinars, as being responsible for the proper deployment of planned activities. 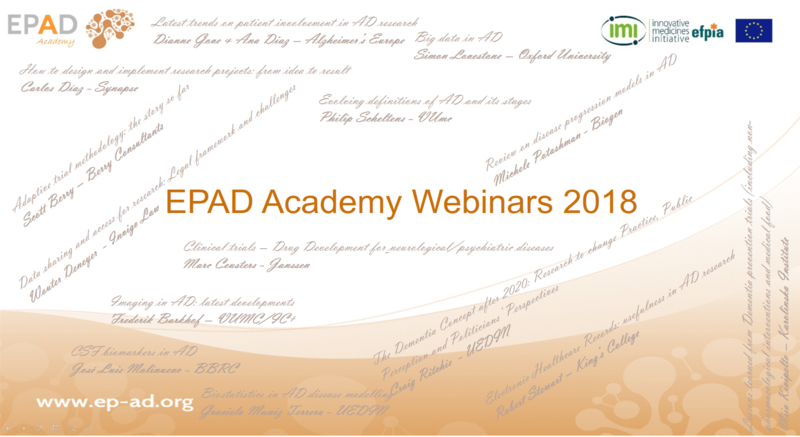 The webinars are exclusively held for the EPAD Fellows. Yet, the recordings of the webinars will be available on the EPAD YouTube channel. “The Dementia Concept after 2020: Research to change Practice, Public Perception and Politicians’ Perspectives” webinar is already available on the YouTube channel. More about the EPAD project at http://ep-ad.org/. More about the EPAD Academy here.